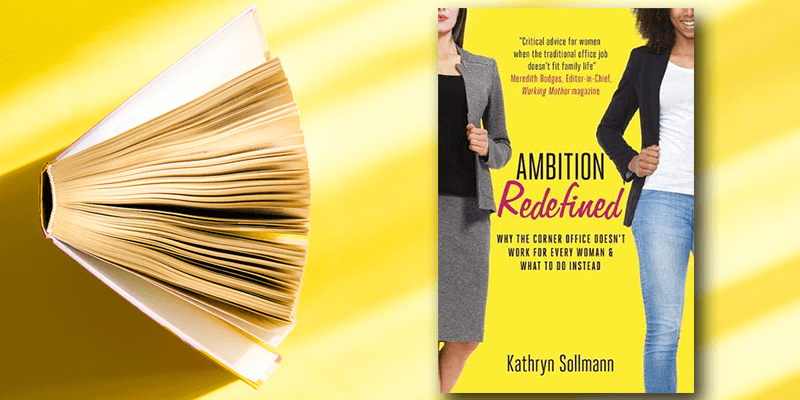 Sollmann is a career coach, speaker, and the author of the new book, Ambition Redefined: Why the Corner Office Doesn’t Work for Every Woman. She encourages women to understand that success isn’t a one-size-fits-all model, and that by taking advantage of workplace flexibility, they can achieve the type of success that suits their individual needs. 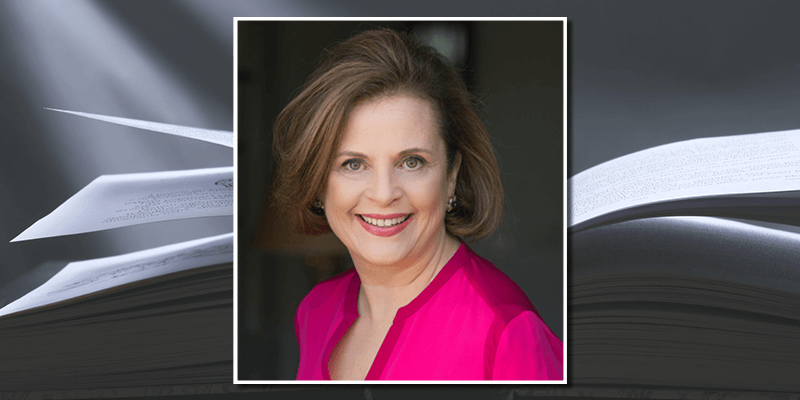 A sought-after speaker and coach, Ms. Sollmann is a mother of two daughters (ages 18 and 27), and has worked since the age of 16 in various flexible jobs. Below is a transcript of our recent interview with her. 1MFWF: A few years ago, Sheryl Sandberg strongly encouraged working women to “lean in” to their jobs. What do you think of that advice? Kathryn: I think that Sheryl motivated a lot of women to find their voice, stand up for themselves, and get a seat at the table. The confidence-building and gender parity aspects of her message are hugely important, but she seems to suggest that all women want to be—or without question should be—vying for a seat at a very high-level table. So many smart, talented, professional women heard “lean in” as “push as hard as you can for the C-Suite.” When a typical day includes preparing for a big presentation, commuting, dealing with plumbers, helping kids with homework, and trying to figure out what to prepare for yet another dinner, the “lean in” rallying cry sounds out of step with practical life. Any woman who indeed wants to break the glass ceiling and aim for 24/7 life-consuming jobs should absolutely have the path and support to do so, but it’s not a path that all women should feel pressured to follow. I think Sheryl’s message appeals to the power elite and young women who are not yet in heavy caregiving mode. Her message resonates less with everyday women who are trying to blend professional roles with caregiving for children and aging parents (without hot and cold running help). In my book, I encourage women to always work in a flexible way that fits their lives for the sake of long-term financial security first and foremost—not solely in pursuit of power or to gain credibility with the elite sisterhood. 1MFWF: What if women realize that they don’t want to be a CEO? Does that mean that they’re unsuccessful? How can women redefine what success means to them without feeling like they owe an explanation? There are many profiles of success and ambition that don’t involve an office in the C-Suite. You could be an entrepreneur with a profitable small accounting business (that may never be exponentially scaled and sold); an IT freelancer in hot demand; a marketing consultant well respected among consumer product companies; or a part-time writer who has impressive bylines. It used to be that the choice for women was black or white: work in the traditional, more than full-time job or head home. Now there are so many flexible options, and smart and talented women who work in a flexible way will have lots of company. There will no longer be a burning need to justify professional choices, and we’ll all see that ambition and success take many forms. 1MFWF: What are some tips you would give to a working mother who is seeking more flexibility (i.e., remote work options) in her job? Kathryn: It all comes down to the ask. It can’t be a simple ask like: “Do you think I could work from home a couple of days a week?” You need to make a professional pitch for any kind of flexibility. My first suggestion is to consider a blend of work at home and in your employer’s office. Plenty of employees are 100% telecommuters, but I do think that there is strong relationship-building and collaboration value to working right alongside colleagues part of the time. Then, consider a written proposal that your boss can read quietly and consider carefully. In that proposal make sure you’re talking about the setup of your home office, as well as communication and collaboration tools you will use to manage people and projects and attend meetings while you’re off-site. Also, propose how flexibility could work for your immediate team (required core hours or days in the office? ), and why it could actually benefit your employer. What could you do better or faster with fewer distractions in a home office? How could you reinvest commuting time into back burner projects? How could changing your hours help your company service clients in other time zones? Perhaps most critical is a proposed trial period and a plan for 30/60/90-day check-ins so that you can evaluate how flexibility is working for all parties—and tweak as necessary. 1MFWF: You said that the cost of child care isn’t a strong enough argument for working mothers to leave the workplace. Why is that? Kathryn: No one disputes the fact that child-care costs are astronomical. But what women don’t realize is that it actually costs more to stay home. The Center for American Progress has an interactive child-care cost calculator that does eye-opening work vs. stay home math. Using the example of a 30-year-old woman who earns $50,000 annually, a three-year hiatus to care for children would cost her $150,000 in income, $140,000 in lost wage growth, and $125,000 in retirement assets and benefits over her career lifespan. Compare that total $415,000 three-year cost to the average cost of full-time daycare for five preschool years ($54,860) or the average cost of a full-time au pair for the same five-year period ($95,420). Women need to reframe the child-care dilemma: for a defined period of time, child care is the cost of doing the critical business of continually building a portfolio of current, valuable skills and ensuring your ability to earn an income to fund long-term security and life surprises. 1MFWF: Older workers often face a stigma that they’ve “aged out” of the workforce, but that isn’t always the case. How can older workers rebrand themselves, or view themselves in a new light, so that they can market themselves to potential employers? Kathryn: During this time of low unemployment, employers have the challenge of attracting and retaining the best talent. Employers are not pushing older workers out the door because as baby boomers continue to retire, companies are facing a huge talent and knowledge drain. They are finding ways to keep older workers on the job with more flexible arrangements like part-time or consulting roles. Older workers are especially attractive because their primary insurance coverage is government-supplied via Medicare. Many industries are actually very focused on hiring older workers—including, healthcare, sales, IT, advertising/marketing/PR, engineering, finance, operations, insurance, and HR. More seasoned workers are also successfully reinventing themselves and launching second or third careers by learning new skills like coding that would be considered hot talent for workers at any age. Another big sign that older women, especially, are welcome in the workplace are the many returnship programs offered by leading companies in many industries. The bottom line is that today we can all work in professional roles until we have comfortably funded our futures. Rebranding yourself as a flex worker open to non-traditional work structures gives employers many ways to tap into your skills as their project needs ebb and flow. 1MFWF: Are you ever too old to reinvent yourself, and what are some tips to doing so? 1. Get out of your own head. We all tend to dream about other, more flexible ways to work. In all that dreaming, we make lots of assumptions about what new career directions are possible or a fit for our expertise and lives. Before you impetuously set off in any new direction, do your homework. Network far and wide and talk to as many people as you can to get insider perspectives. 2. Keep an eye on your wallet. Would a business of your own require a significant personal investment? Could you weather inconsistent income while you generate steady freelance clients? Would a switch from a corporate to a nonprofit job give your work more meaning and your bank account less stability? Consider all the financial implications of a new career path. 3. Consider if you are truly “Type E”. Many reinvention musings involve an entrepreneurial venture—but not everyone is cut out to be their own boss. A business of your own requires 24/7 attention and the ability—at least initially—to wear every single hat. You may like the main activity of your business, but not accounting, administrative tasks, going to the post office, and continually being in sales mode to promote your product or service. 1MFWF: Beyond having work-life balance, how can work flexibility help you build a stronger financial future? Kathryn: Work flexibility gives women the bandwidth to always stay in the workforce alongside big caregiving roles. Women live longer than men and typically earn and save less, so consistent work gives them the chance to build financial security over time. Women forfeit up to four times their salary each year they are out of the workforce. The average workforce hiatus to care for children, for example, is 12 years. That’s 144 paychecks not earned, saved and invested. Another little-known fact is that women need 10 years of earning credits to be eligible for their own social security benefits. It may seem unusual for women not to have worked at least 10 years, but there are many who work for a couple of years out of college, leave the workforce to care for family, delay getting back in, and only work for a couple more years later in life. Though it’s difficult to fund a long retirement on social security benefits alone, it still can be (when managed strategically) a significant source of income you don’t want to forfeit.